The days when winter strikes mostly fiercely are the days when our kitchen is the most messy. You’d think after 25 years of Midwest winters I’d be emotionally and physically equipped to handle months of snow, wind, ice, and sub-zero temperatures. In some ways, I’m still not a fan of winter: I become best friends with my treadmill in those months, I weep and curse every time I have to dig out my car, and I refuse to believe the weather forecast until there is actually snow on the ground. I go into full-on denial about winter and just refuse to deal with it unless I have to leave the house. In other ways, however, I have learned how to deal with winter, and that is to bake and cook all day long so the oven and stove warm up the house and scent the air with warm and happy smells. I boiled chicken bones for homemade stock, I bake pitas and bagels and cinnamon swirl bread, and I experiment in crafting new and tasty meals. When I’m in the kitchen I almost forget that the snow outside is taller than Charlie. It’s amazing I don’t gain a ton of weight in winter from all the baking and cooking, but I guess that’s what the treadmill is for (that and saving my sanity). My winter cooking crazies aren’t a recent phenomenon. 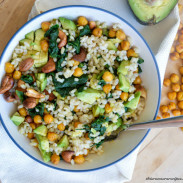 In my senior year of college, in my tiny studio apartment with a microwave oven and electric stove, I’d pass time during the hibernation by trying out all sorts of new recipes. Mashed cauliflower, bean burgers, various whole grains, baked eggs, and homemade nut butters were produced in my kitchen as if I was feeding a small army, not one hungry runner college girl. This was the year I discovered Pinterest, which further fueled my cooking obsession. When I got snowed in and could not visit Ryan (who then lived in Grosse Pointe, MI), I’d cope by baking and cooking even more. Graduate school was a different story, and I ate simple and quick meals, often prepped in bulk in the beginning of the week. It was either get my master’s thesis done and grade 150 papers per week or play all day in another tiny apartment kitchen, and my desire to sleep and graduate trumped any desire to play around with new recipes. I can probably never eat another Annie’s Organic mac and cheese after how times I stuffed those microwave meals full of veggies and called it a meal. This recipe is not a meal you slap together and make in the microwave while trying to wade through 14th century Latin texts (omg, I do not miss grad school). 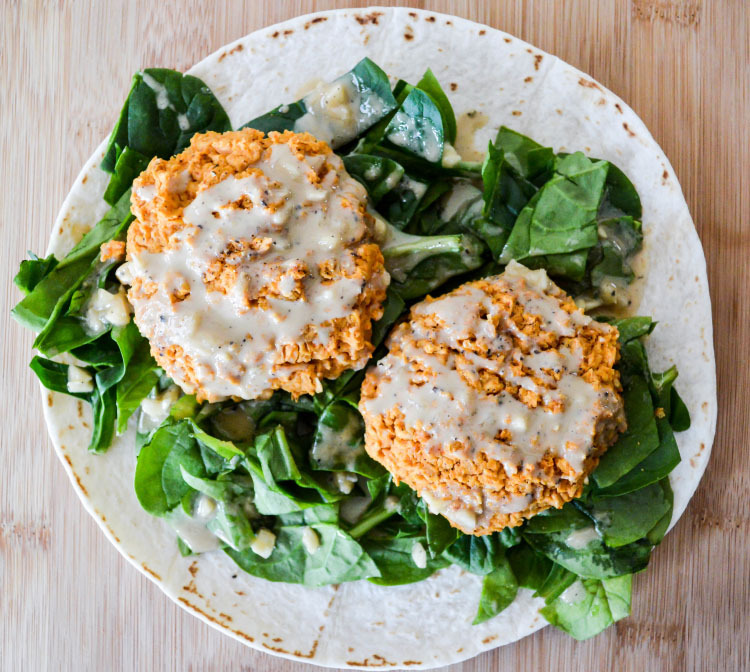 Baked falafel with garlic tahini drizzle is a meal you make on a chilly day, when you crave both comfort food and a healthy meal packed with nutrients. It’s not a difficult meal to make; it’s actually quite simple and takes only about thirty minutes. 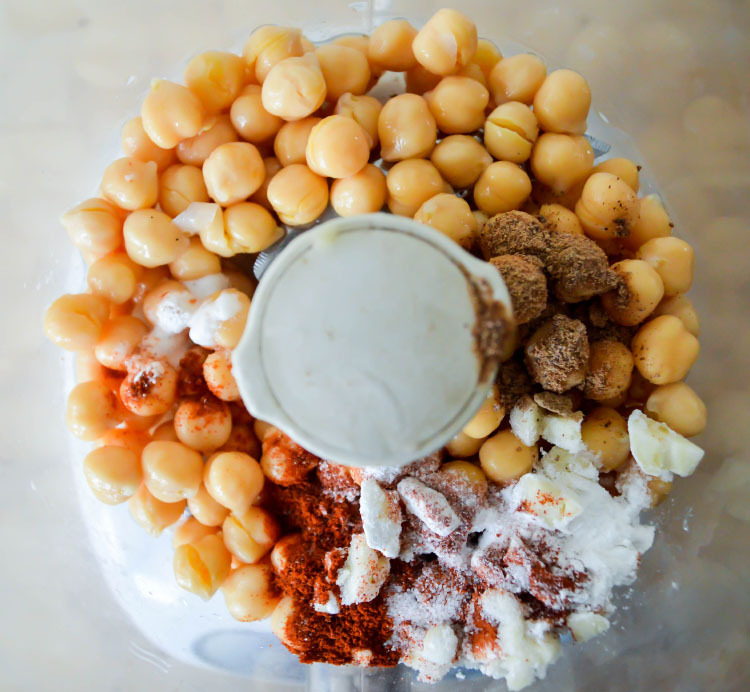 Instead of using all chickpeas as traditional falafel does, I used equal parts of chickpeas and white beans. The white beans help provide more binding for the burgers, since they’re slightly less starchy than chickpeas. I also added a bit of baking powder (not baking soda, you don’t want this to taste soapy!) to help provide even more binding power and a bit of a leavening effect. 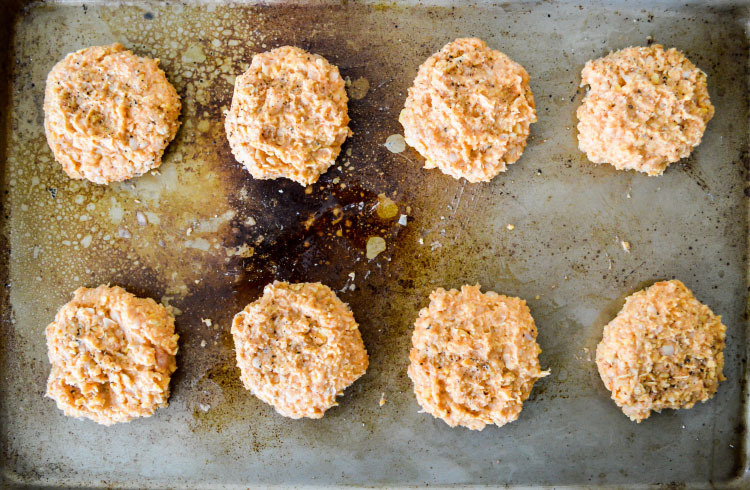 The result are firm, thick, and crisp falafel patties with no trace of greasiness. The garlic tahini drizzle really elevates this dish from good to going-back-for-seconds delicious. 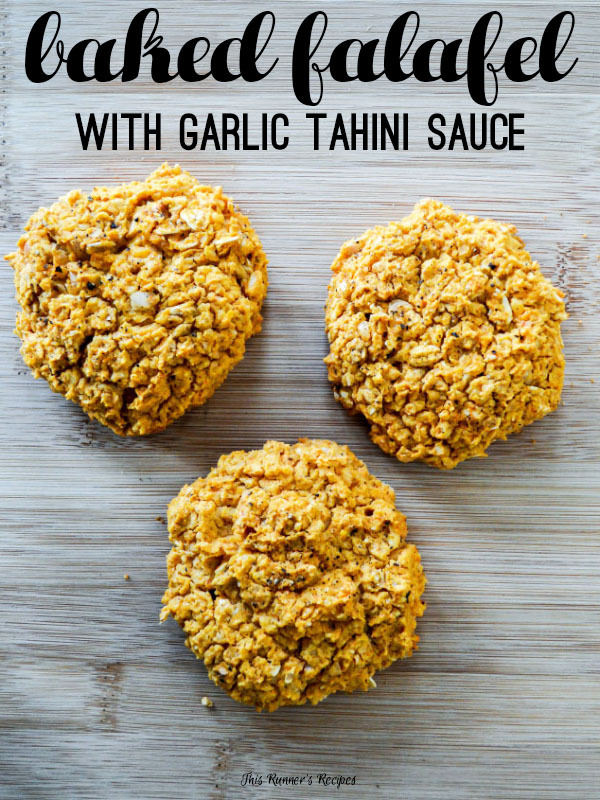 It’s super simple to make, as you just whisk together minced garlic, ground black pepper, tahini paste, and a bit of lemon juice. Tahini is a great source of healthy fats and you can find it in the international sections of a grocery store or at health foods stores! While some diets now tend to eliminate legumes, chickpeas and other beans offer a plethora of nutritional benefits. They are a plant-based source of protein, which is important for even full-time meat eaters (like myself), as plant-based proteins help prevent heart disease by limiting the amount of omega-6s and saturated fat in your diet. While saturated fat and omega-6s have a role in a healthy diet, moderation is important and so is getting your nutrients from a variety of sources. 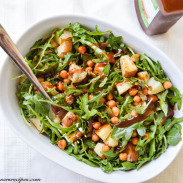 Chickpeas are high in protein and heart-healthy fiber. They also provide a significant amount of potassium, calcium, iron, and magnesium, which are especially important vitamins and nutrients for runners! These baked falafel with garlic tahini drizzle taste equally amazing in a wrap, on fresh homemade pita bread, or on top of a bed of fresh spinach. They’re savory, garlicky, and fresh-tasting. They’re vegetarian/vegan (and gluten-free if you use gf oats) but they are also meat-eater-friendly and husband-approved. 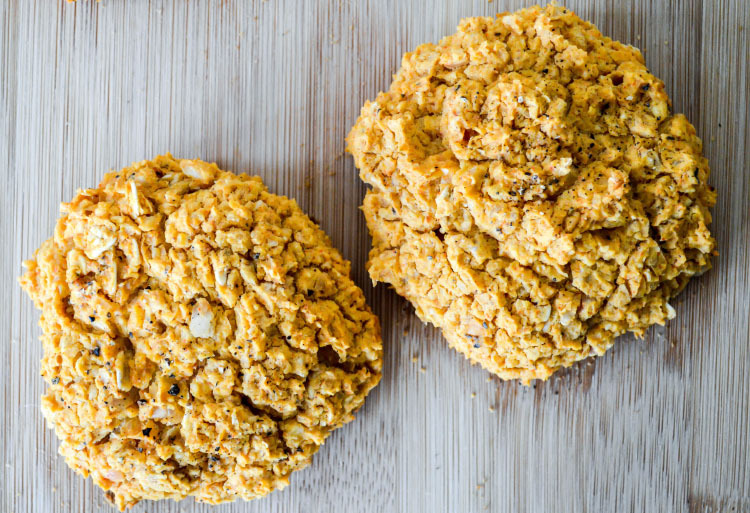 Most importantly, they’re full of protein and fiber and will satisfy hunger even on a long run day! 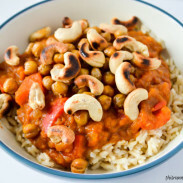 If you have any leftovers, just refrigerate and then reheat them up in a pan or in the oven! These will keep in the fridge for up to 5-7 days. 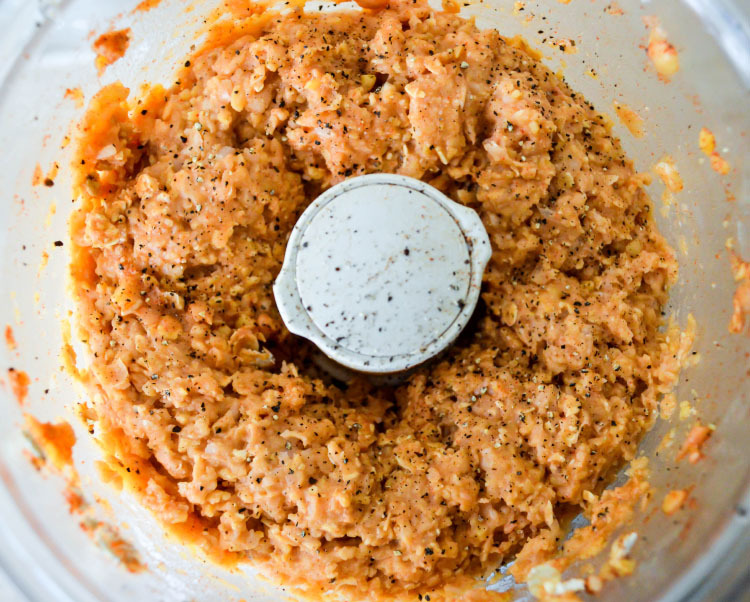 In a food processor, pulse together the chickpeas, garlic, salt, pepper, nutmeg, paprika, and baking powder until roughly combined. Add the white beans, oats, lemon juice, and egg and pulse a couple of times. You want texture, so do not puree. 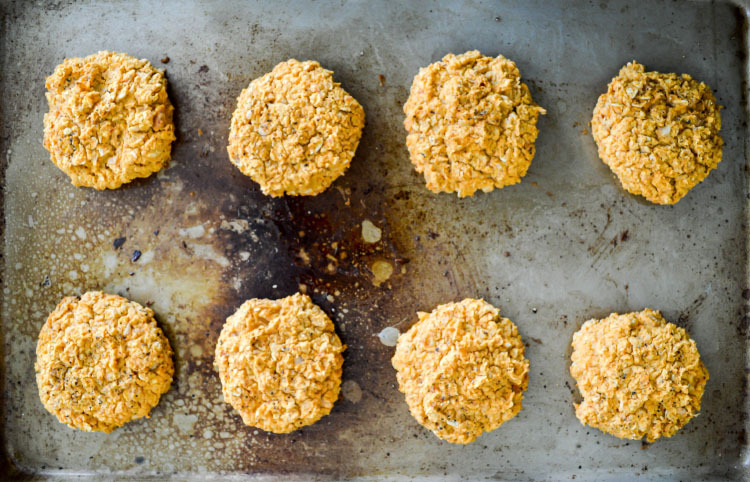 Using your hands or scoop, divide the bean mixture into eight pieces and shape into patties. Place on a lightly oiled baking sheet. Bake in the oven for 20-25 minutes, until golden brown and crispy on the outside. While the falafel is baking, whisk together the ingredients for the sauce together in a bowl. 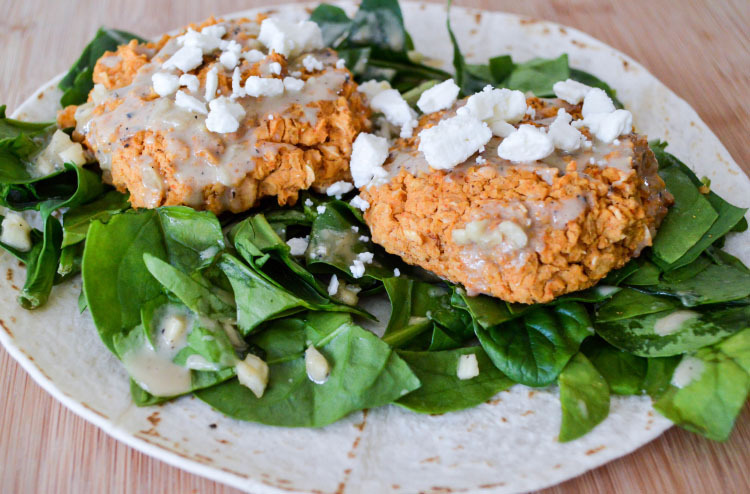 Drizzle the sauce over the falafel and serve over greens or in a wrap. Plus, what better meal is there on a snowy winter day than one that requires only a couple pantry essentials?